The steps are listed in the order they are to be performed. You must have an account to use Kibernetika. Once your account is created, you will be able to log into our system and connect your source code and cloud service accounts, so it can perform all cloud automation on your behalf. After logging in, go to ‘Settings’ page (click your user name in the upper right, and then ‘Settings’). You can go to the page directly using this link: https://cloud.kuberlab.io/settings/my. 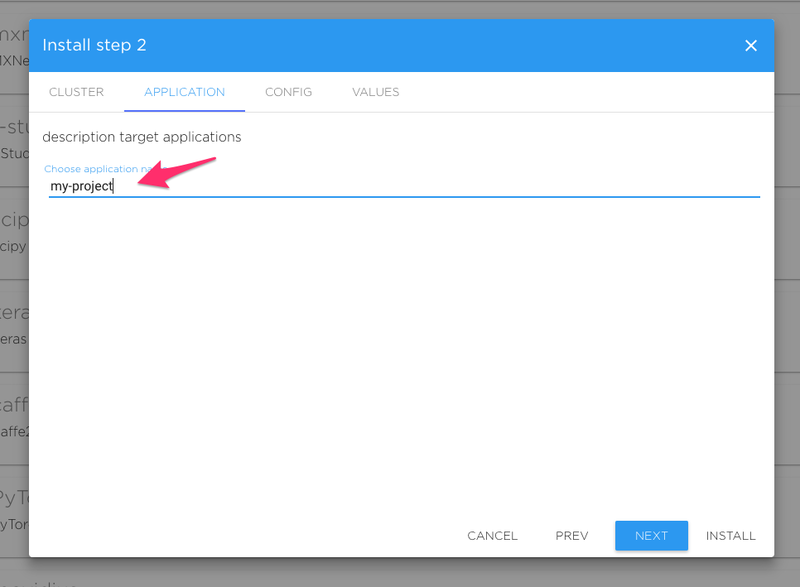 Under ‘Repositories’, add and configure the source account that contains your application or model source code. 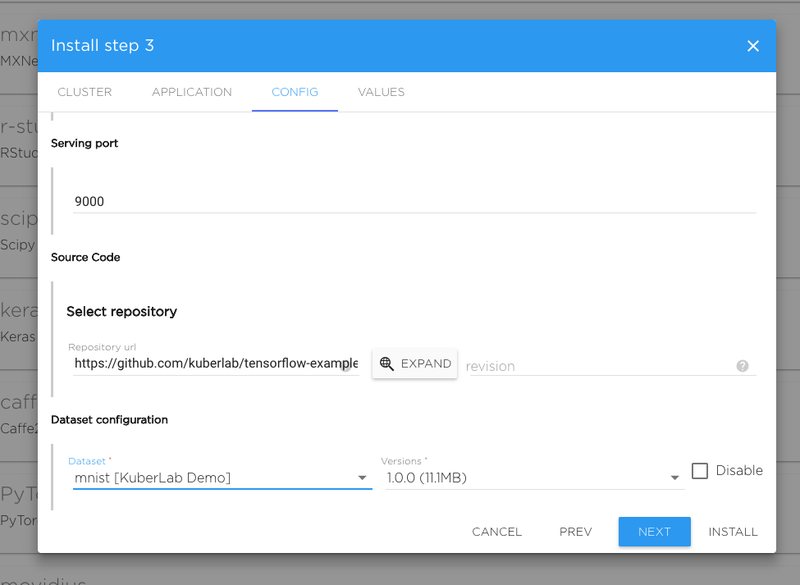 Kibernetika provides you a shared cluster to run your applications. 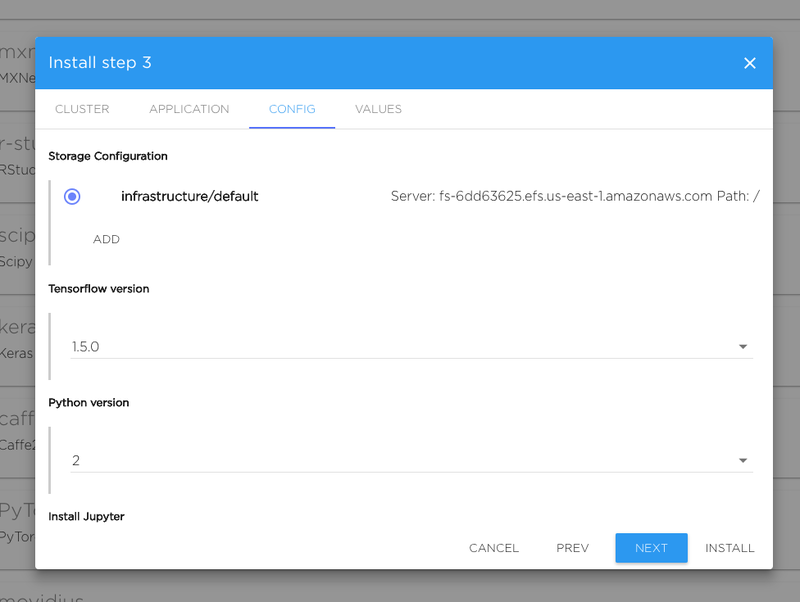 You can also configure to use your local Kubernetes cluster. Hence a cloud service account registration is optional. If you do not wish to use the shared cluster you will need to either configure a local cluster, or use a cloud service, and connect this to kibernetika.ai service. 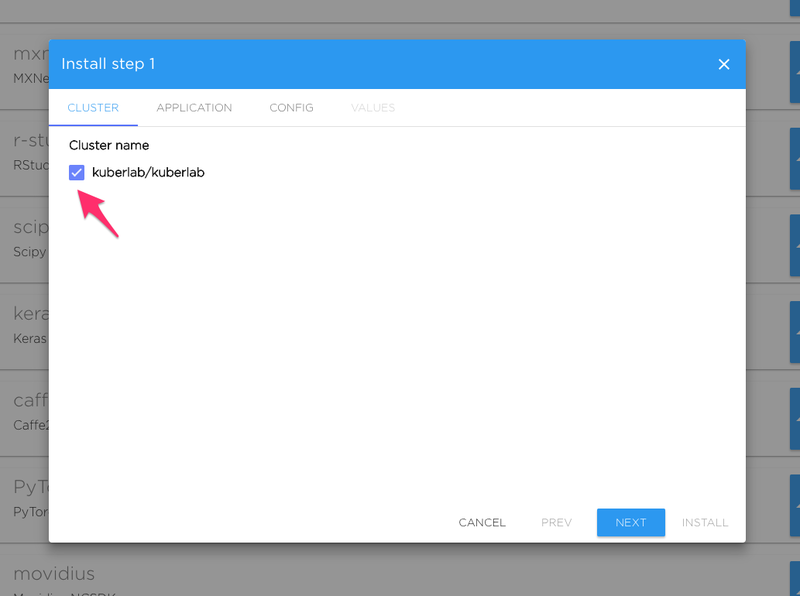 To configure your cluster in the Kibernetika service: 1. Go the the 'Settings' page as before (see Source Account Registration). 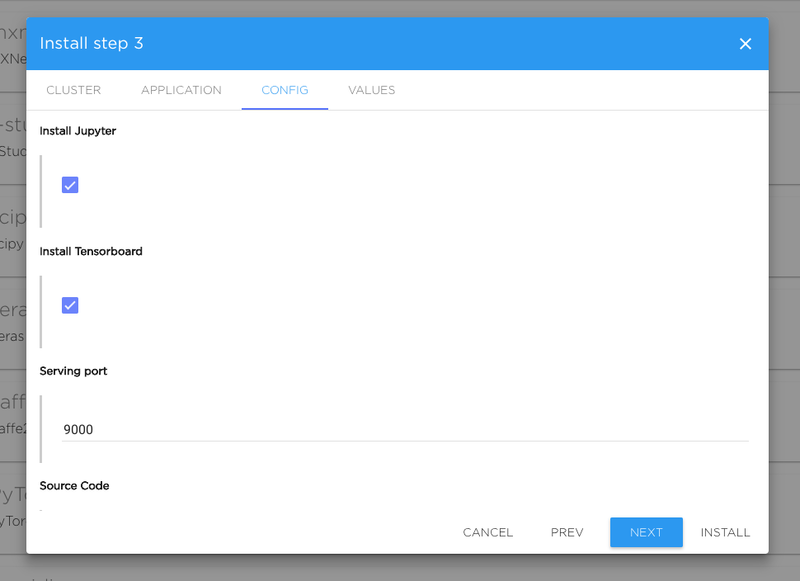 Under ‘Service Accounts’, add and configure the cloud service account where you will run your cluster. 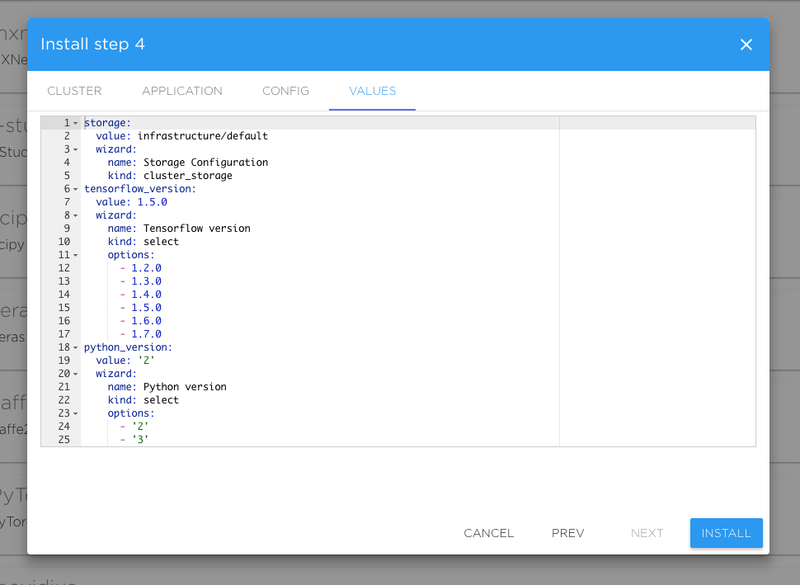 Currently Kibernetika supports Google Cloud, AWS, and local Kubernetes clusters. Before you can do anything with an application, you need to create a project. If you want to run one of the tutorials in the catalogue, you can create a tutorial project. In this case, click on the 'Catalog' button at the top. If you however want to build your own code, or use your own from your connected repository, click on your workspace from the main tab (click ‘kibernetika.ai’ at the top left) and then click the button on the right labeled 'Create new Project'. From the list of tutorials, or sample templates shown, choose the most relevant (click the 'Install' button). If you are choosing a tutorial, the 'tensorflow-tutorial-01' is a good place to start - click "Install to My", and then choose your workspace in the wizard that pops up. Choose your cluster. If you have created infrastructure with the optional step above, this is where you can choose your own cluster. Otherwise, you will choose the default shared cluster 'testshare' here. Click 'Next'. Name your application. Most users will leave the default name as is here. Click 'Next'. Choose the versions of various tools you need. Most users will use the default values here. Click 'Next'. The last step of template installation shows the configuration. There is no need to modify anything here. Click 'Install'. This will install the template and take you to the project screen. In the project screen, you will see several tabs. You can run your code from the 'Tasks' tab. This tab is used for the production flow, and allows you to define several tasks that can be run either serially or in parallel, and any number of combinations of both. The 'Sources' tab allows you to navigate the directory structure and look at all the template files. If you wish to connect your own sources, you can do this here, by adding a new source path. The 'History' tab contains a list of all the jobs you have run. 'Logs' shows the details of all the tasks started. 'Status' shows the current status of all tasks you have started. You can monitor your application from the 'Metrics' and 'Tensorboard' tabs. To add tools and frameworks packages from the open source community, use the 'Lib' tab. The 'Jupyter' allows you to step through the code and read the notes, hence is the easier method.